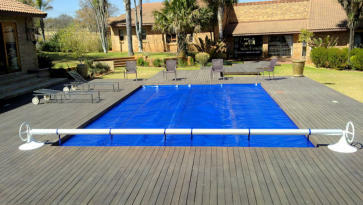 By far, the most popular choice of pool cover is the Thermal Pool Blanket given its ease of use and the fact that it can be easily fitted to any shape and size pool. 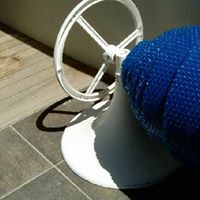 The Thermal cover, available in Blue and Black, is not a safety cover but will raise the water temperature by 6 to 8 degrees Celsius and reduce evaporation by up to 90% - an important consideration in a country where water is a precious resource! 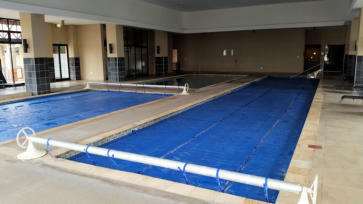 An affordable and cost effective option, this cover also prevents dirt and leaves from entering the pool and will assist in retaining heat generated in cases of heated pools. 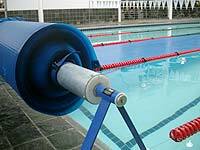 Given the recent publicity and awareness on the need to conserve energy, the cover will contribute to this cause as by keeping the pool clean and heat in, the pool heat pump and cleaning pumps can run for less time and thus save power and costs. 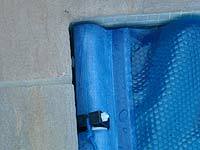 Pool Covers has had years of experience in ultra violet stabilizers our thermal pool covers are guaranteed for a year although with proper care, an imported material should last between three and seven years. The local material last for a shorter time period. The Jupiter is used primarily for household use. 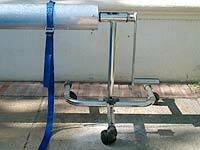 Light and easy to roll in and out of position, it is secured with a single (easy to remove) bolt on each stand. The cover requires additional reinforcing to ensure longevity and is fixed to the roll-up station by way of an attachment kit. 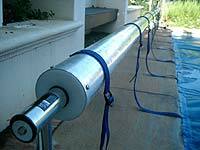 A leading edge kit then helps to pull the cover over the pool. 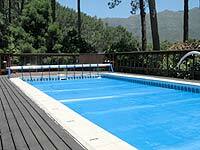 This stand is used primarily for large pools over 15m in length and is used by many of our commercial customers. It is a sturdy A frame that helps pull-off and roll-up of the cover. 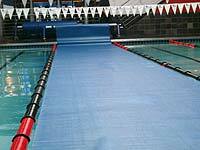 Roll-up stations are manufactured to go over starting blocks if so desired for large commercial pools or schools.